There have been a few times recently that I've had some major fails in the kitchen. Normally I'm a really good cook - but I have my moments when I mess things up. 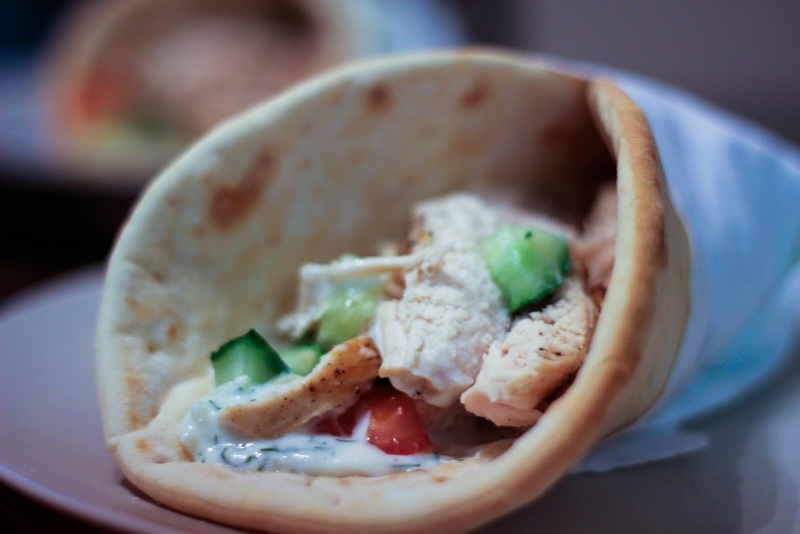 But tonight I felt like I redeemed myself with these homemade chicken gyros! It's such a simple meal, almost fool-proof really. I've made these a few times & each time I love them more & more! Such a quick & easy meal to make after a long day at work. Season chicken breast with salt, pepper & a little bit of olive oil. Brown both sides of the chicken in a hot skillet (approx. 5 minutes per side) & then let it finish cooking in the oven at 450 degrees for about 30 minutes. Let the chicken rest for approx. 5 minutes before thinly slicing with a sharp knife. (This is my absolute favorite way to cook chicken; it turns out so juicy - never dry). 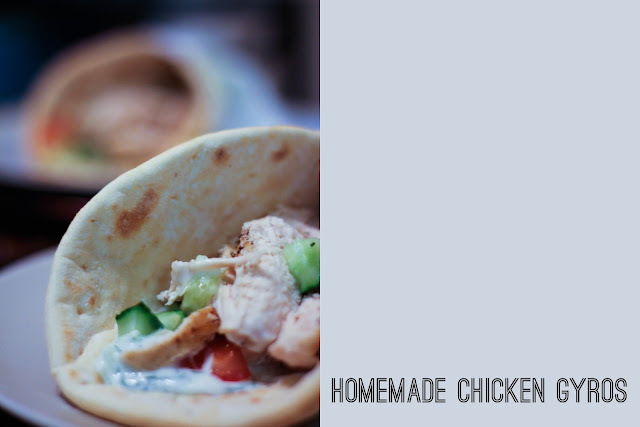 Spread tzatzkiki sauce down the middle of the flatbread pita, top with sliced chicken, diced cucumbers & diced tomatoes. It looks absolutely delicious! I am definitely going to make that with my boyfriend next month! Just found your blog from Liz @ explore dream discover! I'm making these tonight... yum yum! These look so good!!! 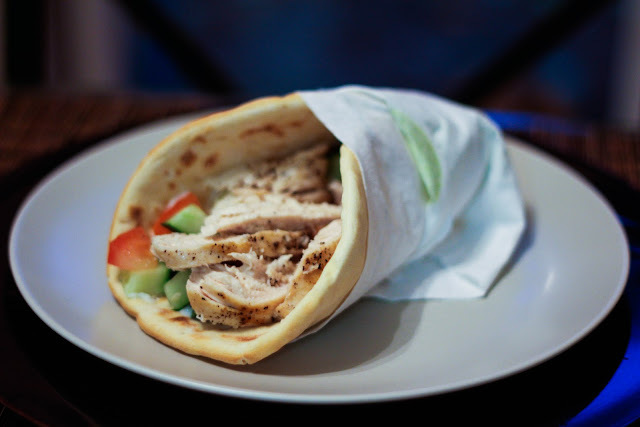 I have been obsessed with gyro's lately so I am definitely going to try and make my own! !